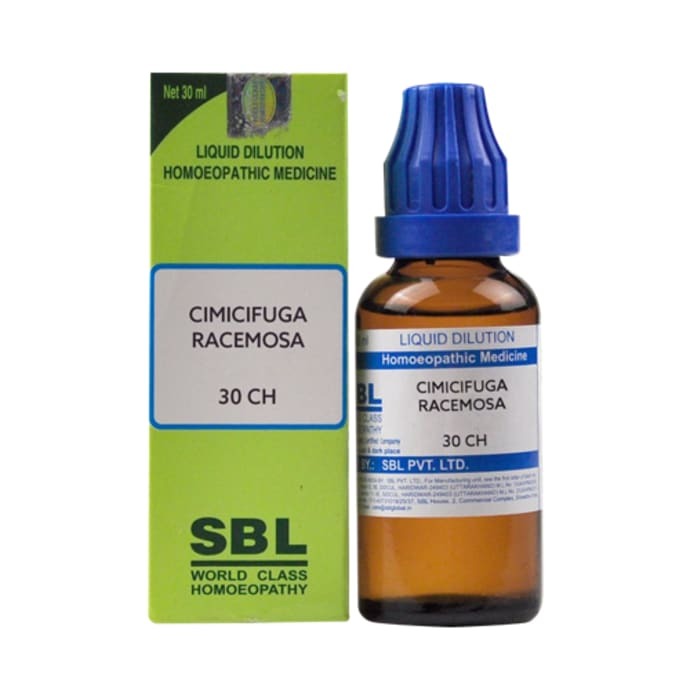 SBL Cimicifuga Racemosa Dilution is a multipurpose homeopathic remedy which treats several health conditions. It has a marked effect on cerebrospinal, muscular system, uterus and ovaries. Indicated in pains associated with rheumatism, uterine cramps and migraine. In females, it helps in treating menstrual disorders accompanied with severe pain in the ovarian region. It is also useful in relieving soreness of the muscles and limbs and helps in reducing involuntary jerking. Take 2-3 drops 3-5 times a day or as directed by the physician. A licensed pharmacy from your nearest location will deliver SBL Cimicifuga Racemosa Dilution 30 CH. Once the pharmacy accepts your order, the details of the pharmacy will be shared with you. Acceptance of your order is based on the validity of your prescription and the availability of this medicine.